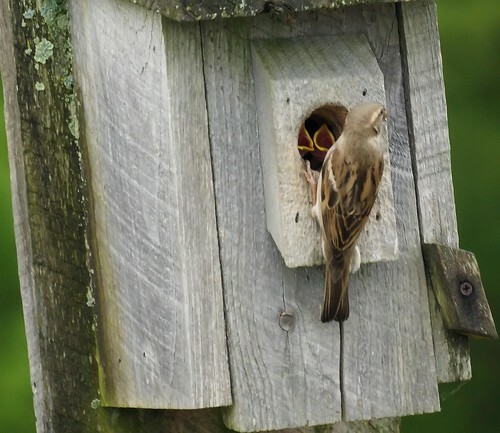 Here the female sparrow is feeding its chicks who are inside a nesting box. 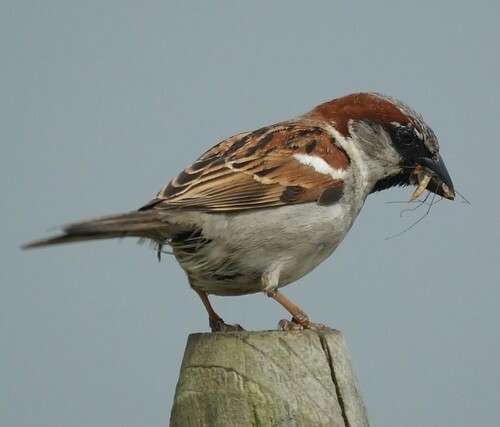 The male sparrow was nearby with some food in its mouth, but when we were watching didn't try to feed the baby birds. These photos were taken at the Cassidy Hill Winery in Coventry, Connecticut.